This webinar on HCU Genetics, therapies and potential candidates featuring Professor Bridget Wilcken (Australia) and Professor Viktor Kožich (Czech Republic) was on Monday 29th October 2018. Topic: The Genetics of HCU, therapies & potential candidates: an explanation of the genetics of HCU Including an overview of classic & potential therapies. Professor Bridget Wilcken has spent her professional life in the diagnosis and clinical care of individuals affected by metabolic disorders, and also has had extensive research interests in this area, in particular in homocystinuria. 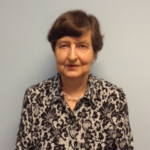 She is internationally recognized both for her contributions to the inborn errors field and to newborn screening. Her early research interests saw her focus on homocystinuria and the clinical features and diagnosis of this in Australia. She was prominent in the introduction of betaine as a treatment in pyridoxine-non-responsive cases of homocystinuria. It is without a doubt that her research outcomes have resulted in an improvement in the quality of life of individuals affected by the disease. Professor Wilcken is a founding member of the Australasian Society for Inborn Errors of Metabolism, contributed substantially to the founding and organisation of the International Society for Neonatal Screening, has served on committees of professional organisations, authored numerous publications and several book chapters and given invited presentations both on metabolic diseases and newborn screening worldwide. She has a university appointment as Clinical Professor in the Discipline of Paediatrics, University of Sydney and was Clinical Director of the New South Wales Biochemical Genetics and Newborn Screening Services at the Children’s Hospital at Westmead. She graduated in medicine from Edinburgh in 1956 and worked in Edinburgh and London before coming to Sydney, Australia. She is former President of the Human Genetics Society of Australasia, the International Society for Neonatal Screening (ISNS), and the Australasian Society for Inborn Errors of Metabolism, and former chair of the Genetics Services Advisory Committee for New South Wales. In 2002 she was awarded the Order of Australia and in 2004 the Guthrie Medal of the ISNS for services to newborn screening. Professor Kožich graduated from the School of General Medicine, Charles University in Prague in 1985. Since his graduation he has been working in the Institute of Inherited Metabolic Diseases and he specialized in clinical biochemistry and medical genetics, in 2012 he became the full Professor of Medical Genetics. His main interests are genetic, biochemical, clinical, epidemiological and ethical aspects of inherited metabolic disorders with a special interest in disorders of homocysteine metabolism and namely in cystathionine beta-synthase deficiency—a disease in which he became interested in 1991-1992 during his fellowship in the laboratory of Prof.Jan P.Kraus (University of Colorado School of Medicine in Denver, USA). 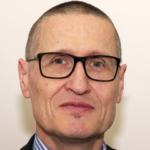 Prof.Kožich is also involved in organization of neonatal screening and serves as a Chairman of the national Coordination Center on Neonatal Screening in the Czech Republic. Professor Kožich has been a tutor of graduate and postgraduate students, he is an author of over 100 publications in peer reviewed international journals, several chapters in books, and of articles and chapters in Czech medical literature; he has been an invited speaker at various international and national conferences. He is a member of councils of several international learned societies (SSIEM, ERNDIM, and ESHG) and he is active in peer review system at both the national and international levels.